Stromynka Street is a part of an ancient road that led to the north-eastern regions of medieval Russia. The road got its current name as late as in 19th century as a reminder about Stromyn village that existed on this road. And earlier, in 18th century, the street was referred to as Matrosskaya (Sailors' Street) that clearly was related with modernization of the Russian navy carried out by Peter the Great. One of the most interesting architectural objects in Stromynka is a building by a famous Russian architect Konstantin Melnikov erected in 1927-29 as a culture club. This original edifice was planned to have transformable interiors, making it possible to join and separate different halls, but those original solutions got lost with years. This photo brings us back to 1930s, when Stromynka still was a narrow street, and trees along it were still young. 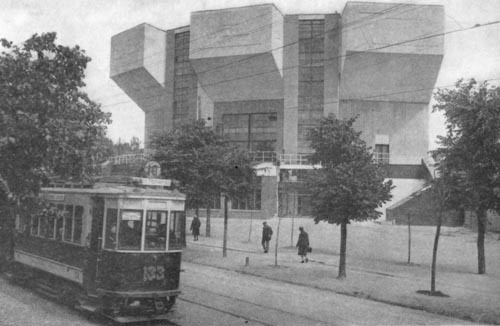 Tram route #10 disappeared from the street in 1940s for good. 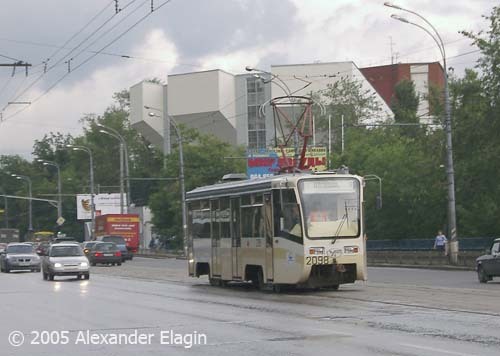 Today's Moscow tram route 10 has noting common with its initial alignment. 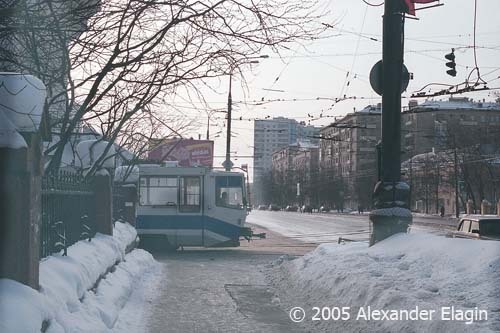 A few steps after the culture club, the street is crossed by Babayevskaya Street with a tram line. 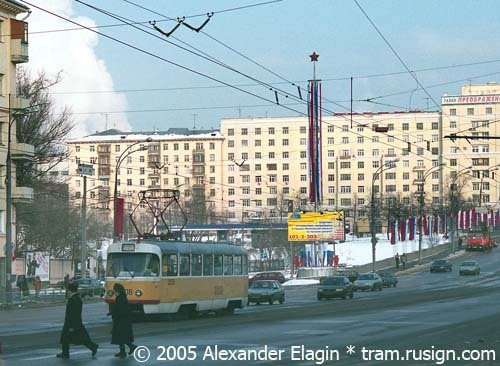 The line is a service link with Rusakova tram depot and SVARZ workshop. 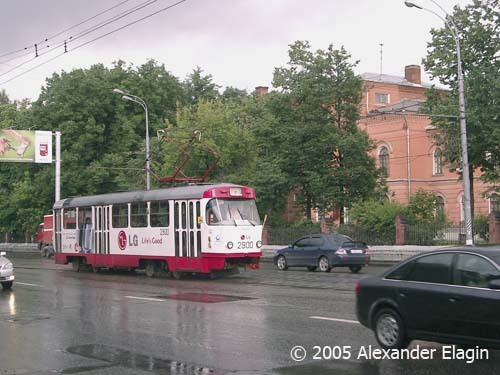 The workshop once was a tram depot, but was converted to the main bus repair facility of Moscow. 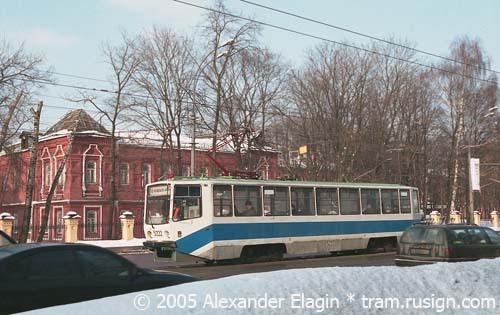 Yet it still has a rail connection with the tram network and a few tracks inside. A number of hospitals is lined along the next stretch of Stromynka, with a century-old buildings. Another medical institution in Stromynka, now the 1894 built building of a former charity house, now the Moscow municipal tuberculosis cure centre. Stromynka Street comes to an end at the embankment of Yauza river. The street continues further across Matrosskiy bridge, but now under the other name, Preobrazhenskaya Street.